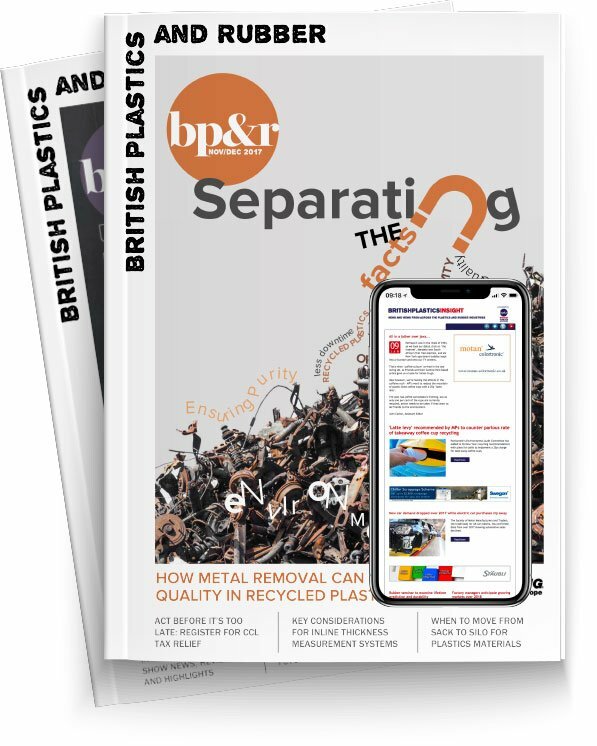 In this report written for BP&R, Mark Barton, MD of Barton Fabrications details how growth in the use of PET plastics has led to an increase in noise and structural problems reported in storage silos. The properties of the material, particularly its relatively high poured bulk density and co-efficient of friction, can result in silo overloading and phenomena known as honking and quaking. In the worst case this can cause complete silo collapse when storing PET granules. These issues are outlined below by the head of the UK’s largest aluminium silo manufacturer, who concludes with details of how these problems can be overcome. It is predicted that the global consumption of PET packaging will grow to almost 19.1 million tonnes by 2017, with an annual growth rate of 5.2 percent between 2012 and 2017 . In the UK there is a considerable and growing tonnage of both raw and recycled PET plastic being processed. The increase in the use of PET feedstock has led to greater storage of the material both in greenfield manufacturing facilities dedicated to PET and in the conversion of plant from other plastic types. Unfortunately, the material properties of PET are quite different to many commonly used plastics and three main problems can arise when storing/discharging PET: silo honking, silo quaking and silo overloading. Also known as silo noise or music, silo honking occurs when the PET material is moving within the silo and generates a low frequency (>20Hz) sound. This noise is intermittent (with intervals between seconds or hours), unpredictable and typically sounds like a truck horn . The volume of this noise is sufficiently loud to be of concern where silos are installed close to environmentally sensitive or residential areas and has led to noise abatement orders being issued. If silos have been designed to suit most common plastics, stress calculations are likely to have been made using a bulk poured density of around 600 Kg/m3. Filling them with PET, which has a bulk poured density of 850 Kg/m3, will result in serious overloading of the silo. This can be over 40% more than the original design stress and can lead to the complete collapse of the discharge cone or skirt region of the silo. Image 1 shows two, one-year-old silos used for storing PET granules. The vessels had not been designed with any anti-honking / quaking protection and serious buckling damage can clearly be seen on the third and seventh panels of the left-hand silo and the seventh panel of the right-hand silo. These silos were replaced by PET storage silos and have operated successfully for over four years without re-occurrence of noise or structural damage. Silo honking and quaking has been recognised for many decades and although there has been considerable research carried out – and papers written – the exact mechanisms are still not fully understood. The phenomenon occurs with other materials, including other plastics, however PET seems to be the only commonly used plastic where the author has seen problems reported. It is believed that key factors include materials with a relatively high poured bulk density and co-efficient of friction. Table 1 shows the range of density, coefficients of friction and poured bulk densities for a number of common plastics. It can be seen that PET has relatively high friction and poured bulk density compared to the other polymers. Although the exact cause and modelling of the problem is incomplete, there is sufficient practical knowledge of the issue for silo manufacturers to be able to offer solutions that avoid honking, quaking and overloading problems. These involve changing the way material flows inside the silo, particularly increasing the friction between the material and the silo wall, combined with increasing the silo strength to be able to resist any high transient stresses and the higher bulk density of PET. In practice, it is very difficult to predict when silo honking or quaking will occur, but, for example, Barton Fabrications’ anti-honking ring silo design has been widely and successfully adopted, addressing every silo honking / quaking issue that the company has encountered. Barton’s anti-honking ring design can be specified and fitted in both new silos or retrofitted to existing vessels that need to be used for PET granule storage. Rather than risk serious safety issues, or the high cost of a new silo installation, suitable silos can generally be upgraded to include anti-honking rings and stronger base sections offering a more cost effective solution for PET storage to the plant manager.